Wine distillates are among the world’s oldest spirits and were produced in present-day Turkey as early as 1000 AD. In Europe, brandy (called “brandy wine” or “distilled spirits”) first became known in the medical sector during the High Middle Ages. Until the beginning of the 20th century, brandy was primarily known under the name “cognac” and originally designated brandy from the Cognac region in France. With the defeat of the German Empire in the First World War, France insisted that the valid protection of specific indications of source will be respected in the so-called “Champagne Paragraph” of the Treaty of Versailles. The designation “cognac” now also came under this legal provision, and an adequate substitute designation had to be found. Consequently, the terminology “brandy” (Weinbrand in German-speaking countries) that is valid today was introduced with the German Wine Law (Weingesetz) in 1923. Spirits from wine distillate is referred to as brandy. According to EU law, the term is strictly defined as a trade name in order to be able to guarantee a differentiation to distilled spirits and other spirituous beverages. The alcohol content of brandy is at least 36 percent by volume. In addition to the origin of the distillate, above all the maturation is particularly important for the quality and taste of a brandy. 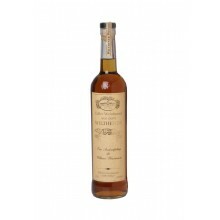 The wine distillate optimally matures in Limousin wooden barrels of different size. The wood for these barrels stems from a European oak from the Limousin region in France. The special feature: Limousin oak has relatively low tannin content, but on the other hand a high concentration of aroma forming wood constituents. In turn, the relatively large pores in the wood ensure the oxygen supply necessary for maturation. The pliability and stability of oak wood is also advantageous, so that Limousin barrels can also be used for decades. 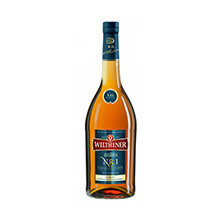 Brandy also has a long tradition in Wilthen. 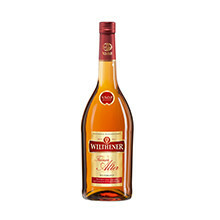 The Wilthener brandy distillery is one of the oldest German distilleries and even caused a sensation in 1900 at the World Exposition in Paris. 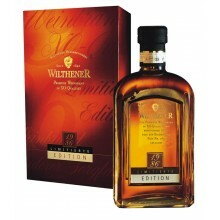 Convince yourself of the quality and taste of Wilthener brandies, and try Wilthener Edition 1986, Wilthener Feiner alter Weinbrand or alternatively, Wilthener Nr. 1.